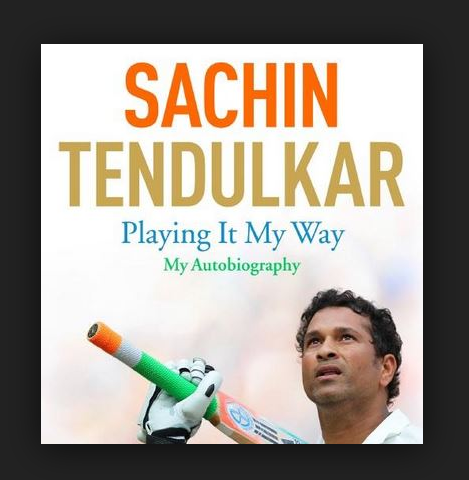 Tomorrow 5th November 2014 - Sachin Tendulkar - God of Cricket going to release his first ever book "Sachin Tendulkar: Playing it My Way - My Autobiography" - But according to Amazon.com the book is to be released on 6th November 2014. But any have we have the link to purchase that eBook as well as we have another option to purchase PaperBack. So order now immediately or otherwise it's too late. Here is the summary of that book. Never has a cricketer been burdened with so many expectations never has a cricketer performed at such a high level for so long and with such style - scoring more runs and making more centuries than any other player, in both Tests and one-day games. And perhaps only one cricketer could have brought together a shocked nation by defiantly scoring a Test century shortly after terrorist attacks rocked Mumbai. His many achievements with India include winning the World Cup and topping the world Test rankings. Yet he has also known his fair share of frustration and failure - from injuries and early World Cup exits to stinging criticism from the press, especially during his unhappy tenure as captain.